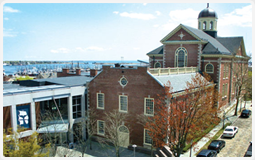 New Bedford Real Estate Lawyer, Brian M. Glover, performs and reviews Massachusetts property title exams. Title exams are performed in the Registry of Deeds in which the subject parcel of land is located. A title exam reveals to lenders and property owners the history of a parcel of land. Such history includes the name of the current owner(s), the legal description of the parcel, and the liens and encumbrances which affect the parcel. Some encumbrances, including mortgages and tax liens, are required to be paid off prior to or at the closing. Other encumbrances including easements, covenants, and restrictions, run with the land and do not require any action prior to closing.